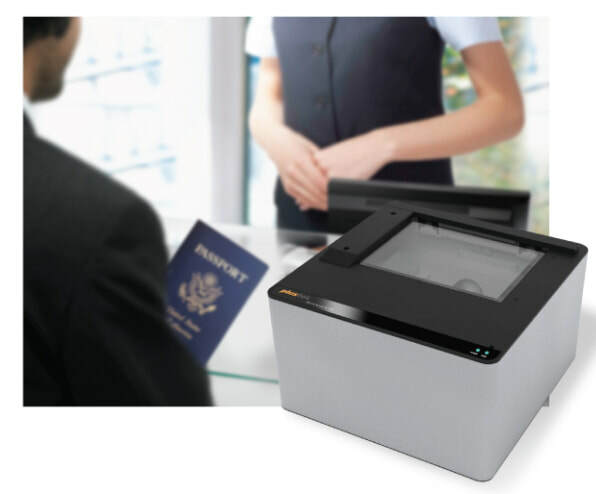 The Plustek SecureScan X150 is a compact and stylish MRTDs (Machine Readable Travel Documents) reader, it support TD1, TD2 and MRP (Passport) sizes scanning within second. Supporting TD1/TD2/TD3/TDV document size scanning. To capture and verify relevant data of all international passports, as well as standard size plastic ID cards, drivers licenses, health insurance cards and other small size documents. To meet the rules of each countries on travel documents, like UV overprint and IR drop-out. To reduce check-in time, increase traffic flow and accurate customer profile data. It only takes approximately 2 seconds from scan to show (including photo on screen). Plustek offers SDKs to system integrators upgrading existing or developing new identity management system. User may easily extend recognition system like fingerprint, facial recognition via built-in USB hub; 2 extra USB ports are available. Find out more about the Plustek SecureScan X150, its features and what it can do.